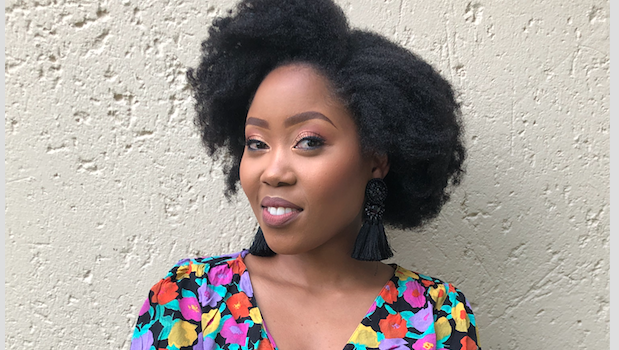 Founder of Sunburst Creations Lebohang Molefe. Sunburst was created by a yearning to create items that bring to light the importance of inner spiritual work. I grew up as a creative child who enjoyed drawing and designing clothes. That passion was reborn after realising that something was missing in my life. Sunburst Creations was birthed to marry these two concepts – my gift of design with my inner spiritual work. How do you balance running the business with your 9-5? I’m still in marketing, and I’m forever grateful for all the skills it has given me, both in- and outside the office. It isn’t always easy juggling the two without burning out, but I feel I have found a happy medium. What has helped me manage is sustaining my energy – I make sure that the projects I work on bring me joy. Of course, there will always be admin that makes me want to pull my hair out. 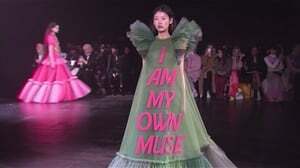 Why do the designs focus on ‘lessons of self-love, acceptance and worth’? In my experience of #adulting, I have encountered challenging periods where I had to prove myself at work and deal with self-doubt. It dawned on me that I am not the only one going through this heart-breaking, internal turmoil. 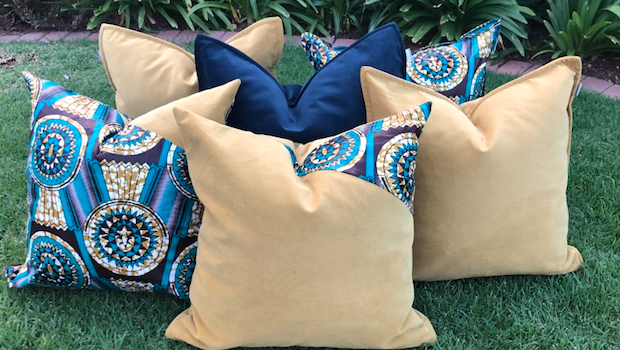 These cushions, termed “conscious cushions”, are designed to take us back to our true form – the omnipresent inner light, love of ourselves, our journeys and our unique purposes, and love for others and every living thing on this planet. They are inspired by my mission to help human beings reach their spiritual fullness, which, to me, is when your life is in complete alignment with your spiritual purpose. We use luxurious fabrics, like velvets and rich cottons, as well as high quality African prints and other unique materials to bring the designs alive. Five tips/lessons for women who want to start a side hustle this year? 1. Keep your heart in mind: Create a business from a passionate and purposeful point; these are the things that will sustain your drive and ambition when circumstances are challenging. 2. Show up as your best self: In both your job and your business, try to create a conducive environment for you to use your gift and purpose. 3. Invest in your brand: Just like your purpose, the brand is the one thing that will keep your customers loyal. Be meticulous in how you represent your brand. 4. Be clear about your intentions: Set your vision, goals, key milestones and measures of success and then do everything that will lead you to your end goal. And remember to celebrate every success! 5. Be kind to yourself: You won’t always have the answers or know what to do. Reach out to those who know better, be grateful for all challenges and failures because they bring you pearls of wisdom. Lastly, be patient – set your intentions and the universe will conspire to work in your favour.